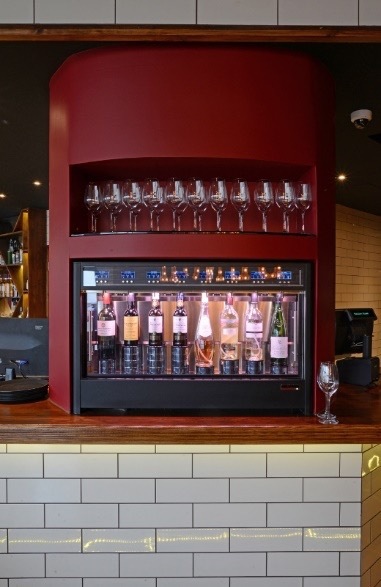 Bench Wine & Tapas Bar in Ramsgate has installed a 48-Bottle WineEmotion system that offers customers the opportunity to serve themselves across a wide selection wines in 25ml, 75ml and 125ml measures. Customers purchase a wine card with a pre-loaded value and then start their wine tasting experience; a journey carefully selected by sommelier John that takes customers across the continents to broaden their wine experience and introduce wines that they may not have considered trying before. 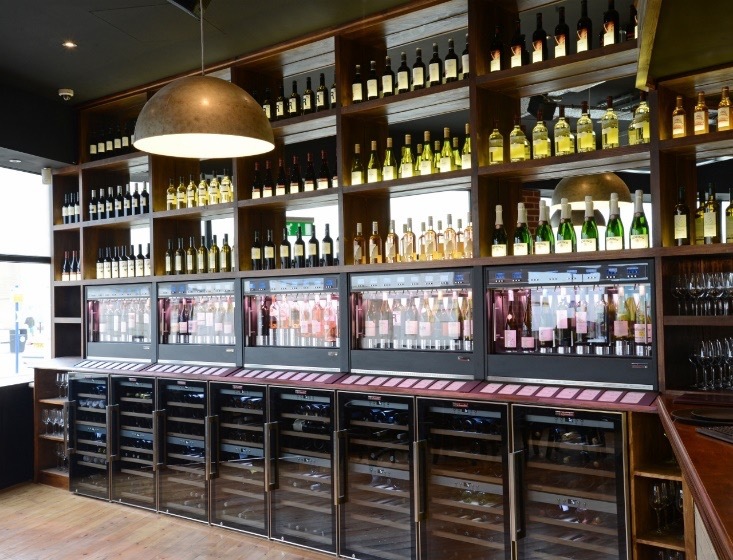 The interior fit-out at Bench was to a very high quality, with the hand-crafted wine wall shelving system designed to fit the dispensers perfectly. The design of WineEmotion dispenser was key for the owners, the stylish exterior and compact design that maximizes the frontal bottle display were very important design features. With optional black finish chosen to match the interior style of the bar and coloured RGB lighting to allow ambient mood changes, the finest of details were incorporated to provide an unforgettable experience for customers. 8 wine cabinets underneath the dispensers keep replacement wines at the perfect temperature so replacement wines can be dispensed instantly. A nitrogen generator located in the basement feeds all of the wine dispensers, allowing a continuous and maintenance free supply of the preservation gas. WineEmotion UK worked closely throughout the design process with Bench’s design team to ensure all aspects of the design brief were fully incorporated into the system specification.